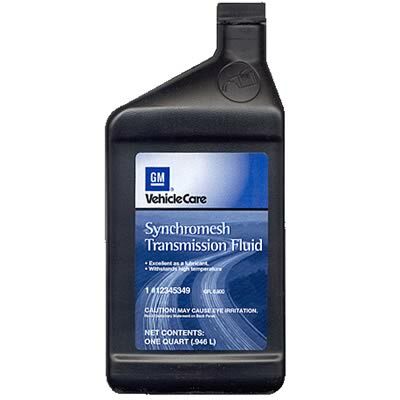 There were two choices for upgrading the transmission. My first choice was to use a Tremec T56 six-speed, but I couldn't find one in my price range. The second choice was a Tremec TKO five-speed transmission. 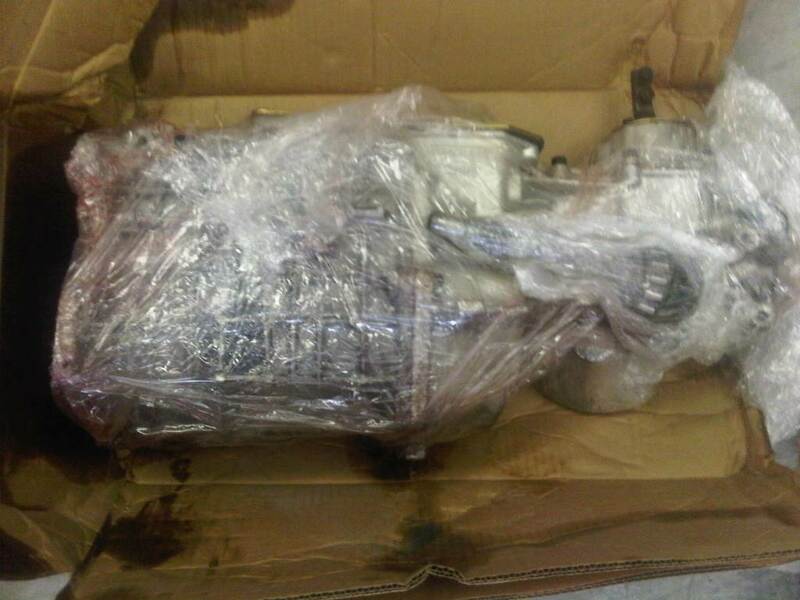 The transmission I ended up getting is the Tremec 3550, which is the early version of the TKO. The 3550 is the transmission that Ford installed in the 1995 Cobra 'R' Mustang that was the factory 'race' version of the Cobra that I currently race. The 3550 was phased out of production by Tremec around 2004 in favor of the current TKO line of five-speeds. Many racers prefer the 3550 over the later TKO due to it's smoother operation and lack of 3rd gear shifting problems associate with the TKO. My specific 3550 is new. I purchased it from a person in Michigan who bought it in 2003, but never installed it. 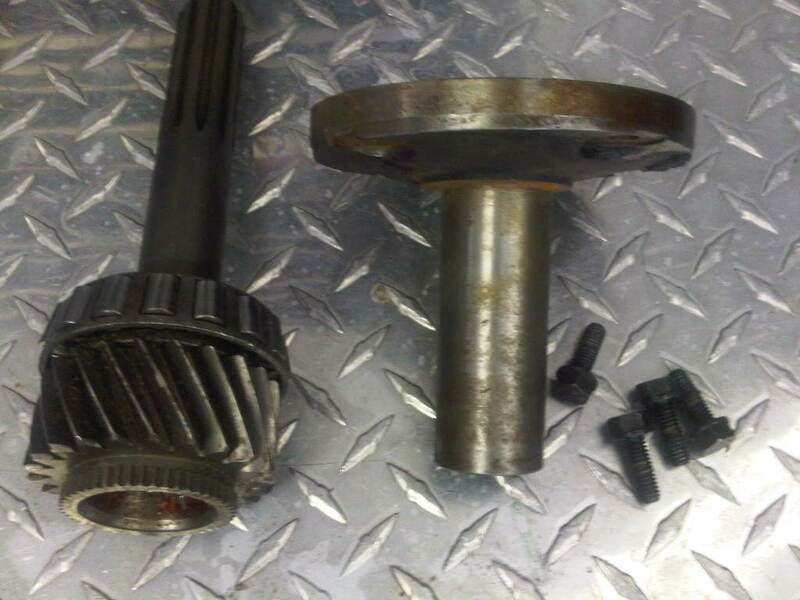 The prior owner removed the Ford input shaft and install a Chevy one. He removed that shaft and included the Ford shaft in the package for me to install. 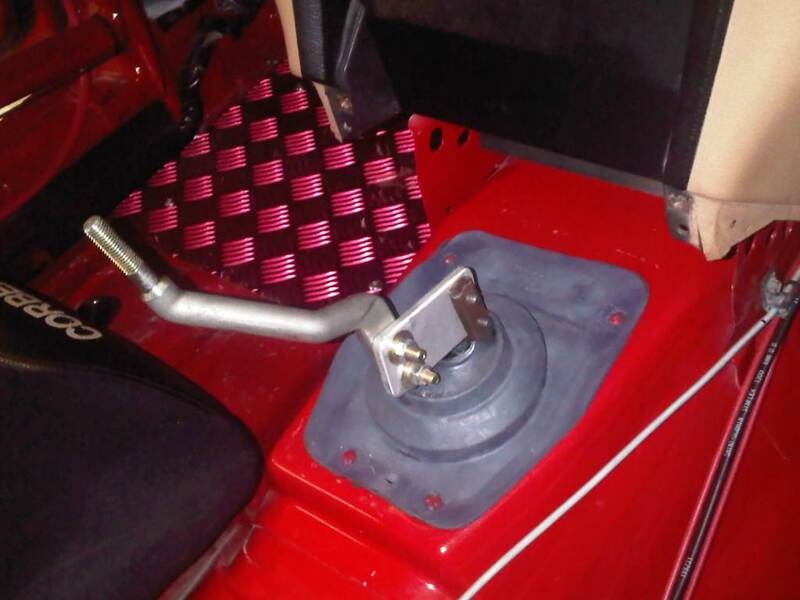 The new bellhousing is the first part to be installed. However, before that, there is some preparation to do on it. 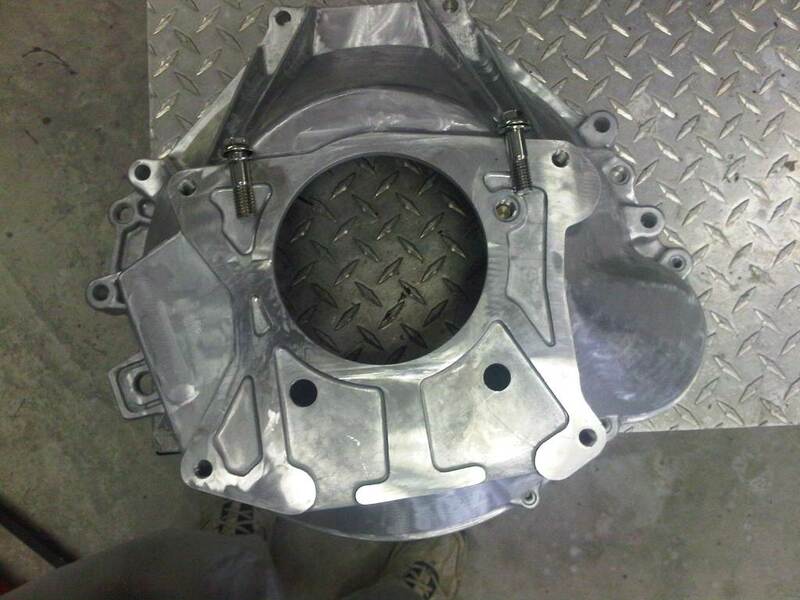 First, although new, the bellhousing was poorly cast and had many cosmetic flaws. It took about 2 hours of grinding and sanding to get a smooth finish on the exterior. 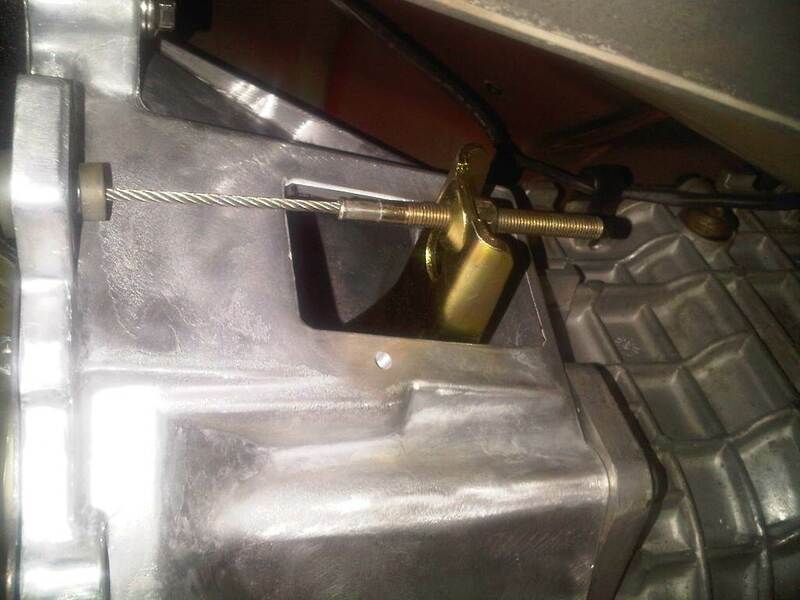 Next I had to shorten two of the bolts that bolt the bellhousing to the block. 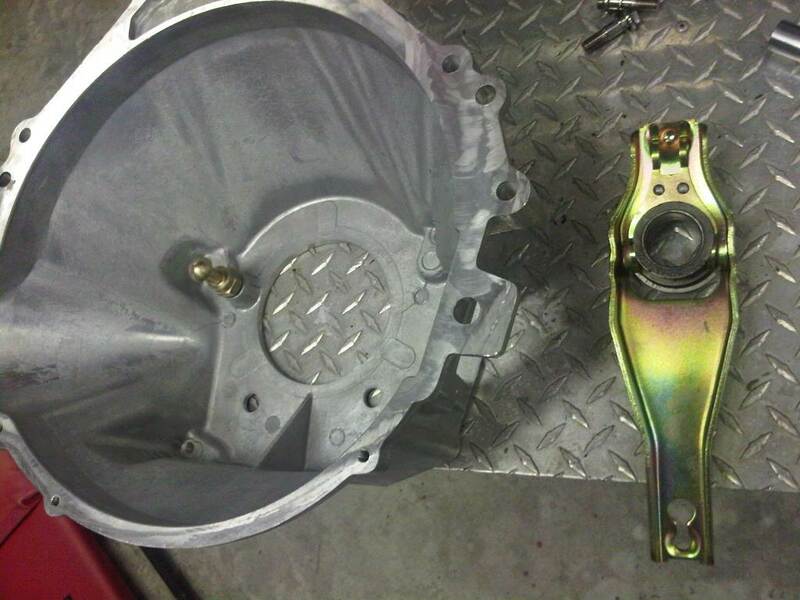 The old throwout bearing was installed in the new clutch fork, and the fork was then installed into the bellhousing. 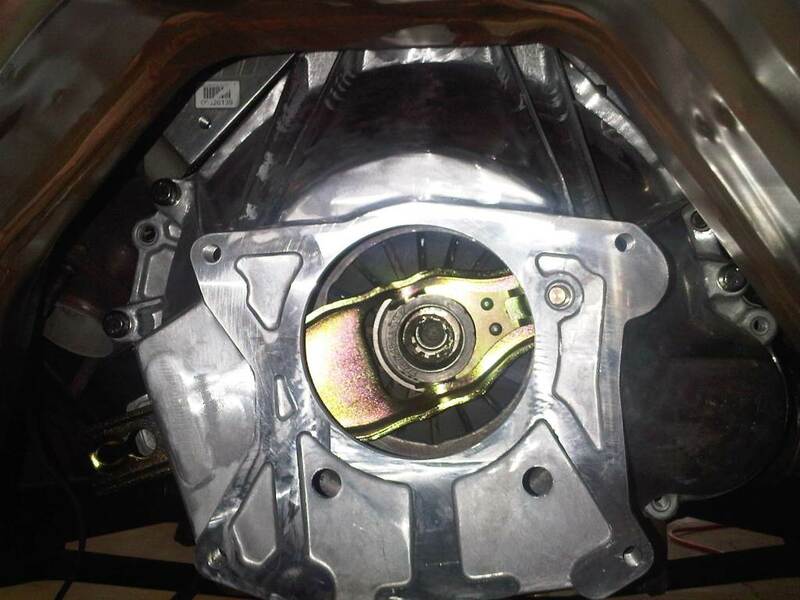 This bellhousing requires that a clutch fork from a 1993 Mustang be used. 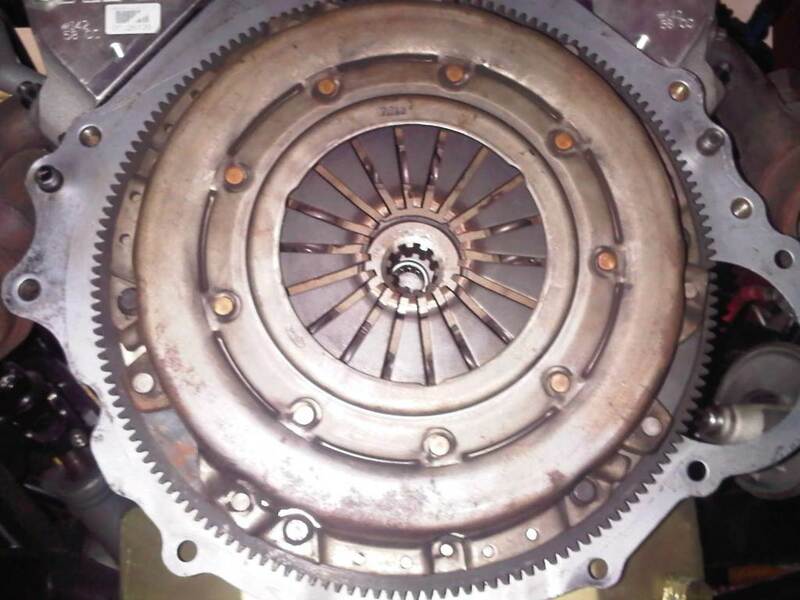 The existing block plate, flywheel, pressure plate and clutch disc were able to be reused. I just cleaned off some of the rust from the block plate first. 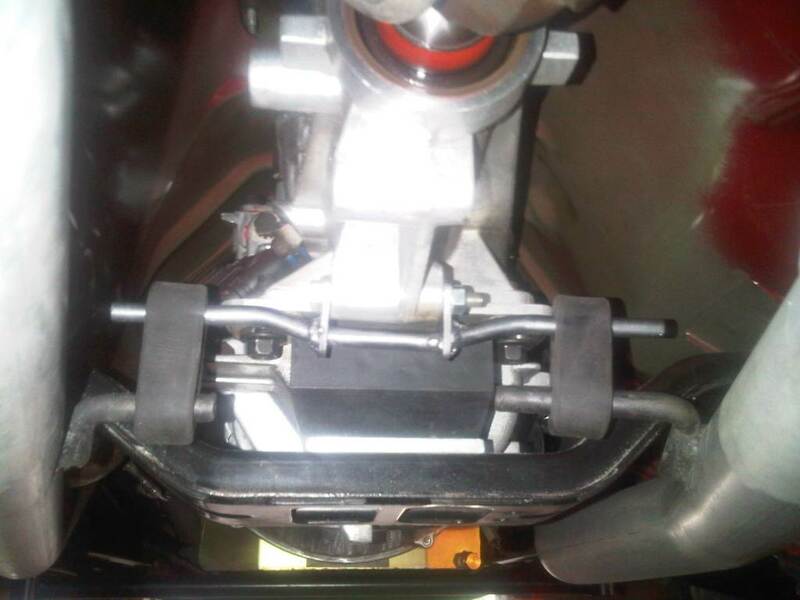 The new bellhousing fit right into place and the reduced-head size bolts made bolting it up a snap. 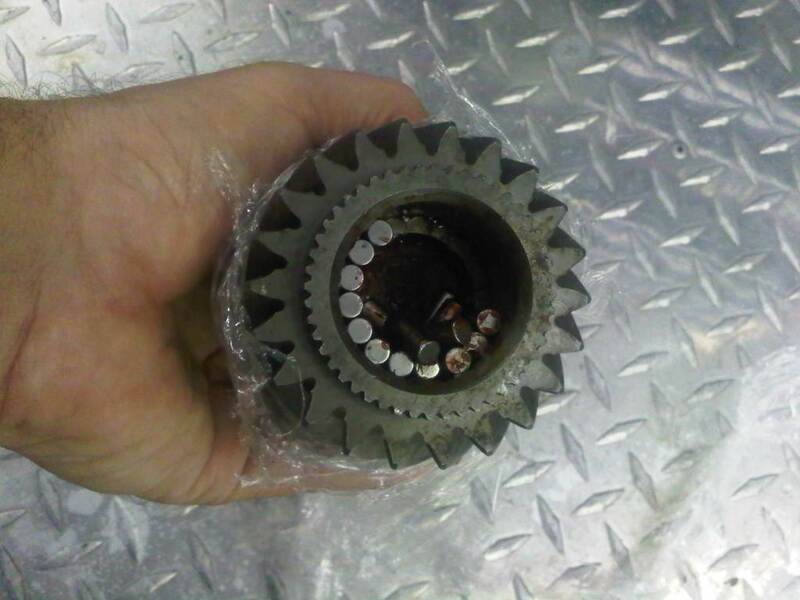 There was a slight delay in the arrival of the transmission. 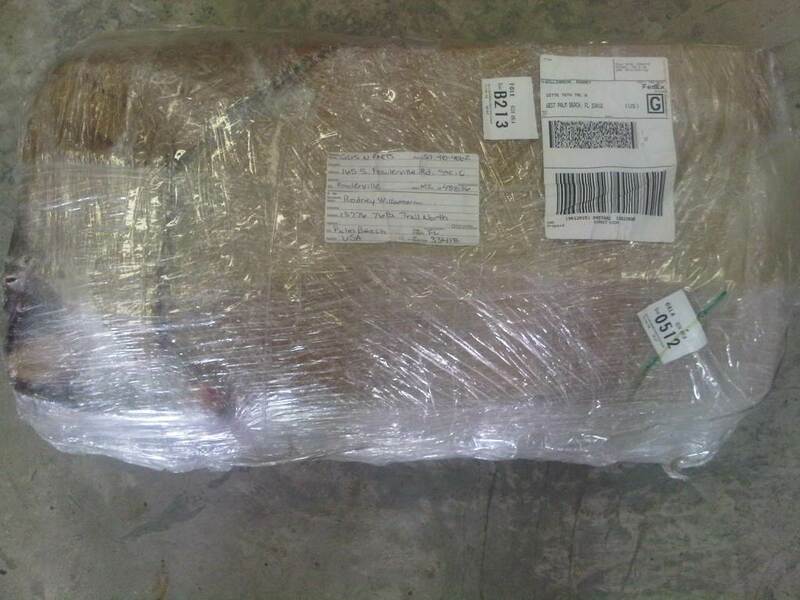 It didn't look very promising when it arrived. 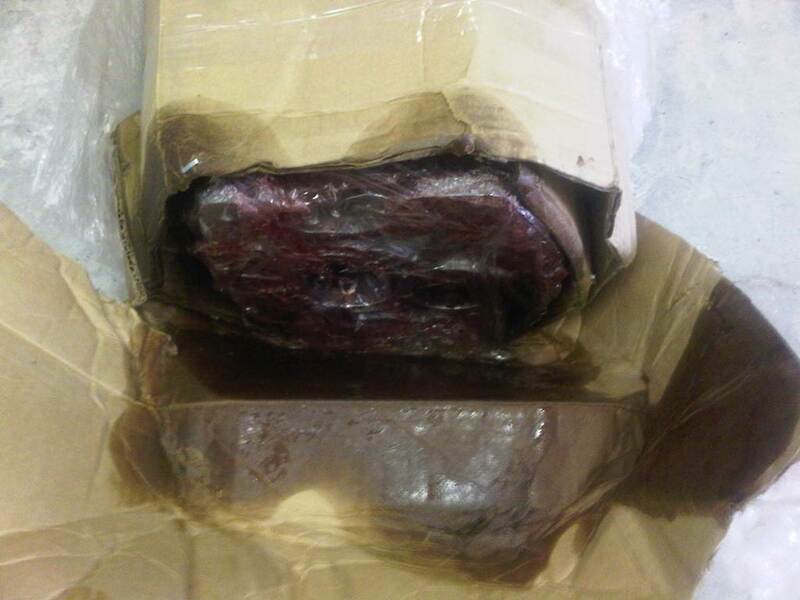 The box was quite wet with transmission fluid (ATF) that had not been properly removed before the transmission was shipped. The needle bearing from the input shaft had moved around some, but were all still there. Both it and the bearing retainer needed some cleaning before they could be installed. The transmission case needed some cleaning too. 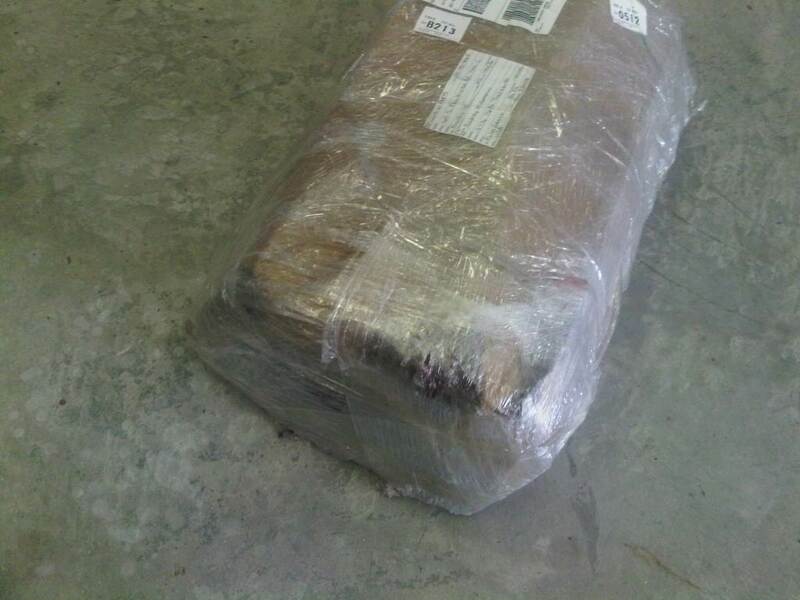 The bottom of the case was covered with ATF and dirt and the bolts were all rusty. 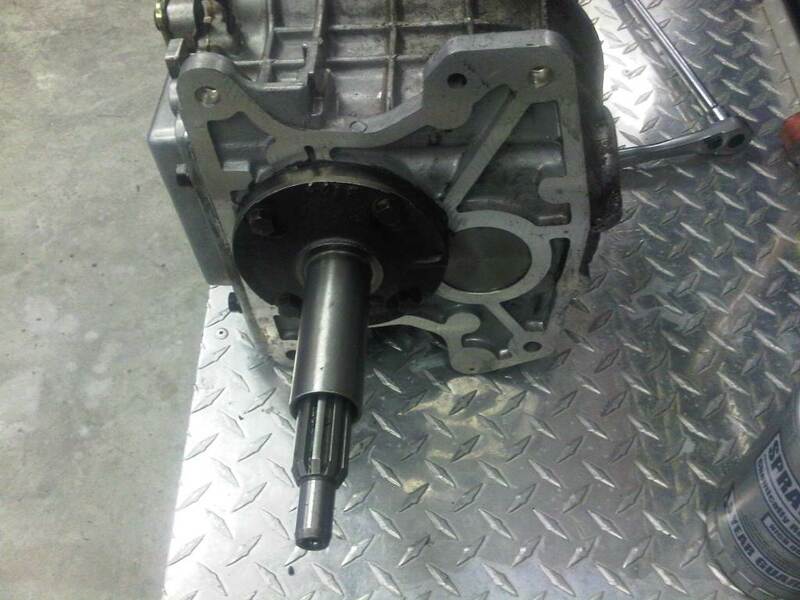 The input shaft and retainer are clean and installed. 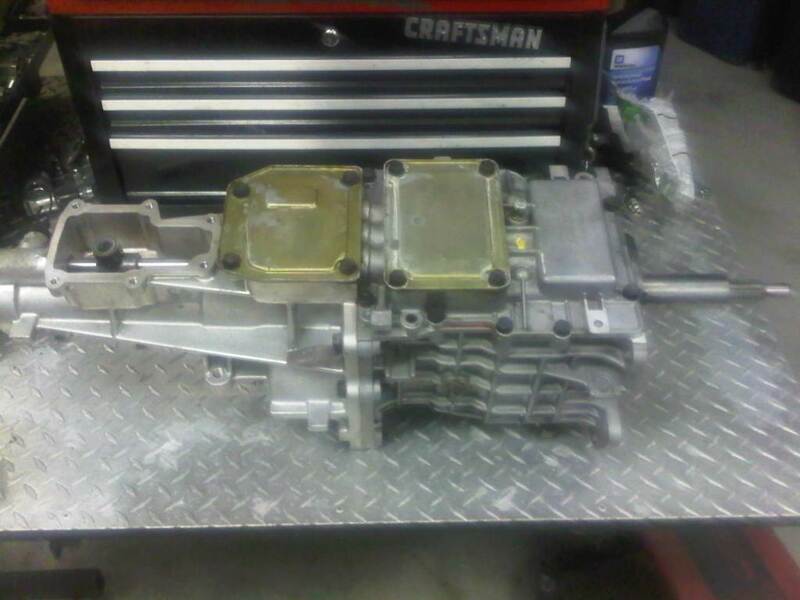 The transmission is now nice and clean and bolted on to the bellhousing with no problems. It bolts in just like the old T5, it just weighs 25 pounds more. The rear mount it a different story. 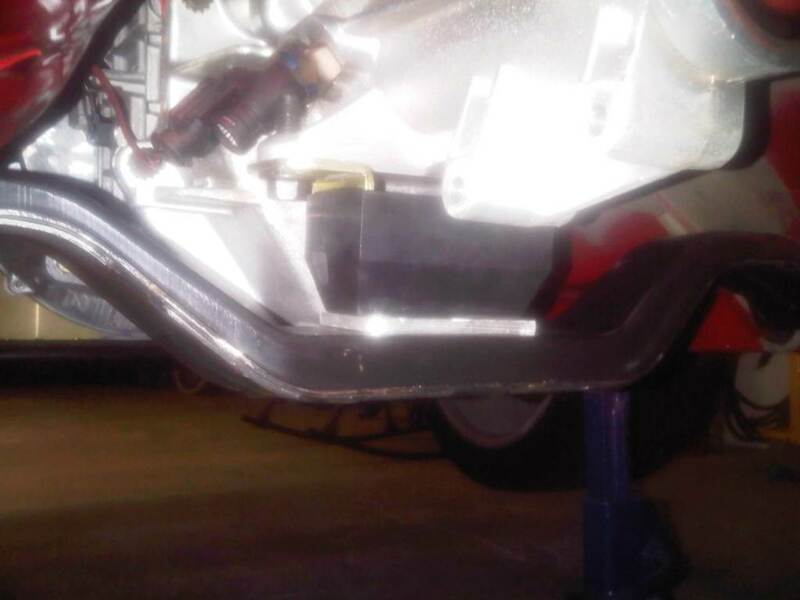 The mounting pad on the transmission is 5/8 of an inch further forward and 13/16 up higher. 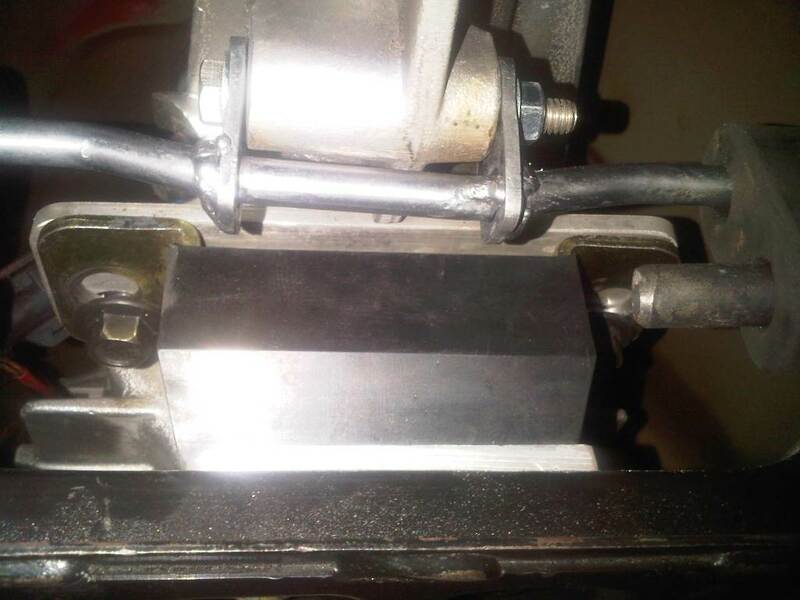 To fix the first issue, the holes on the urethane mount were re-drilled further forward. 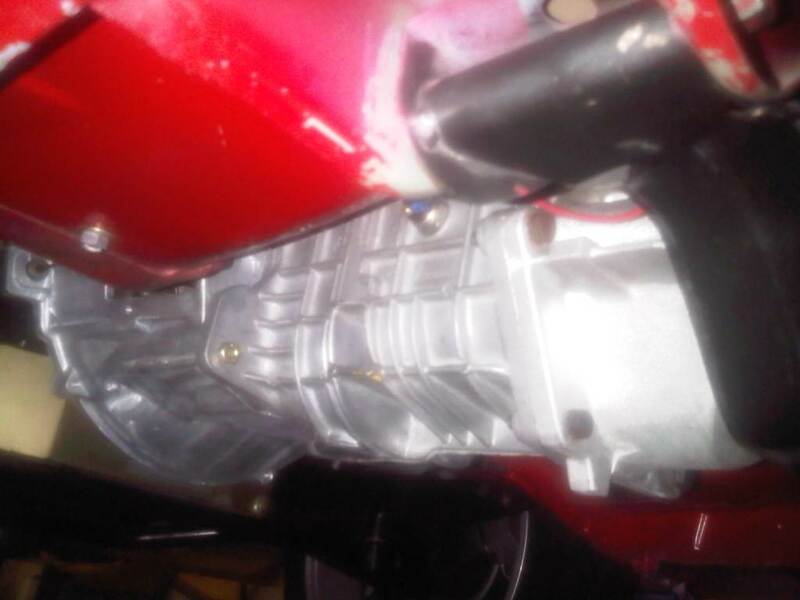 The transmission was raised back to the correct position by using two 3/8 in spacers. 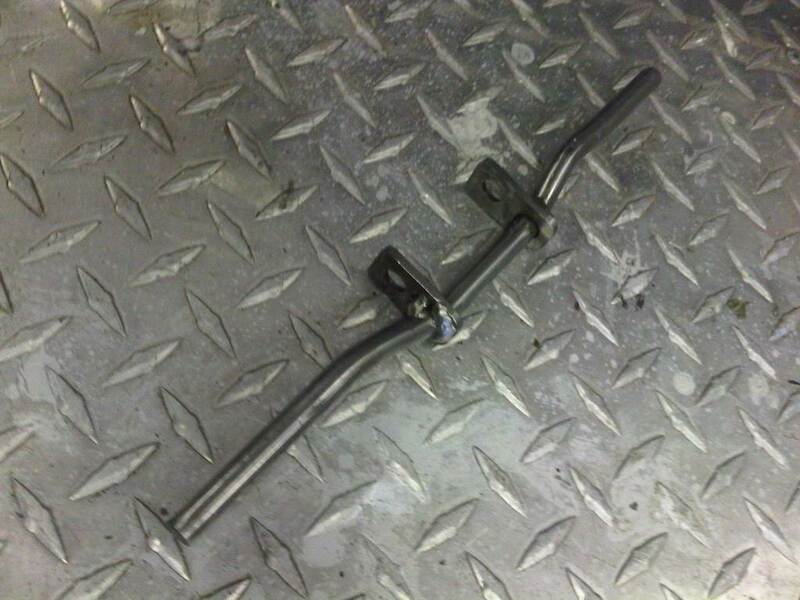 One went between the transmission and the mount, the other between the mount and the crossmember. Next on the list was the H-pipe hanger. The factory one no longer worked, so a new one had to be fabricated. 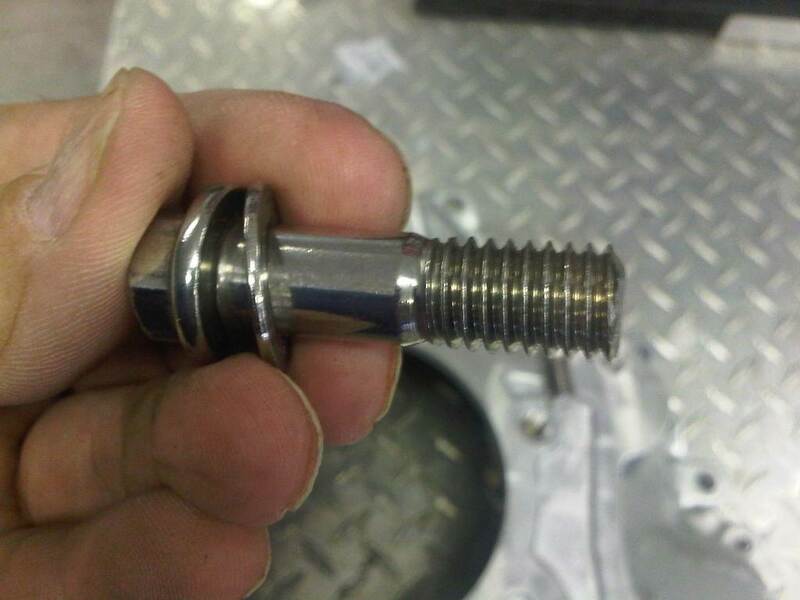 This one bolts on to the transmission tailshaft and supports the H-pipe using the factory rubber mounts. 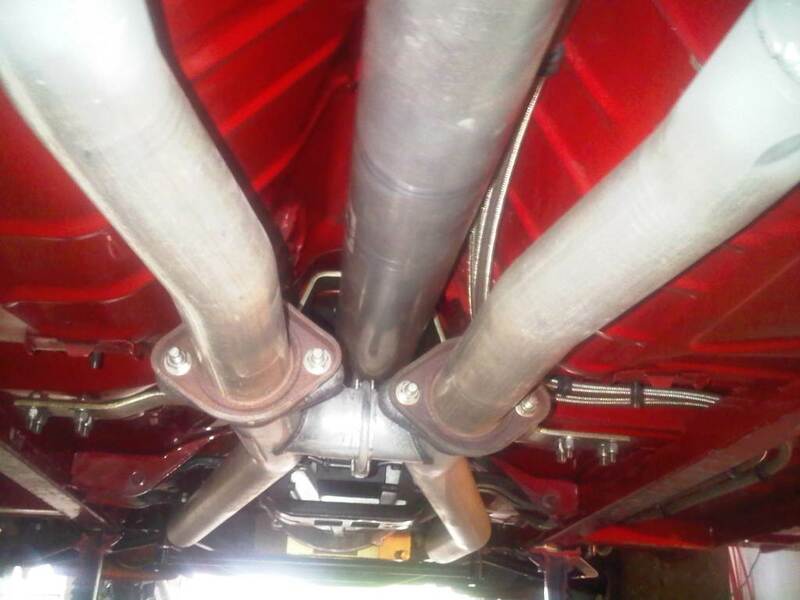 Now with the transmission and H-pipe bolted into place, the driveshaft was next to go in. 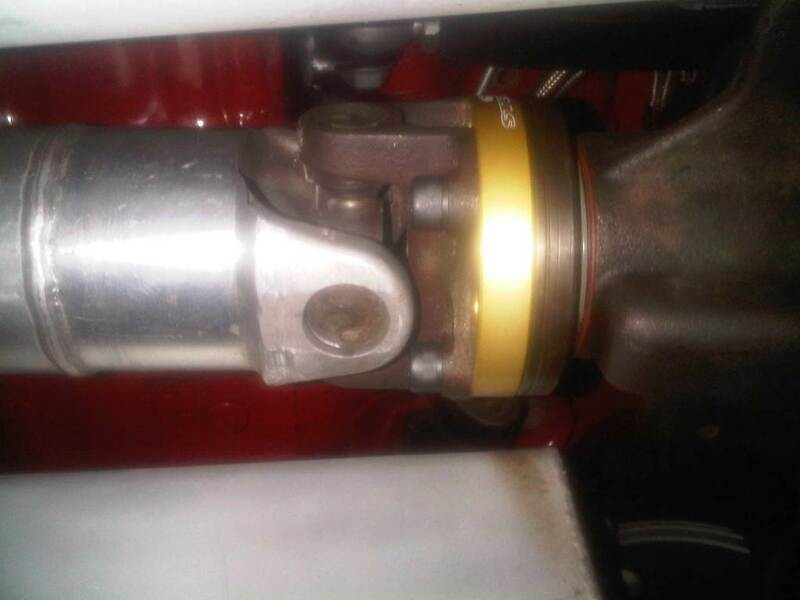 I was able to re-use the Ford Racing Aluminum driveshaft along with the Steeda 5/8 inch driveshaft spacer. 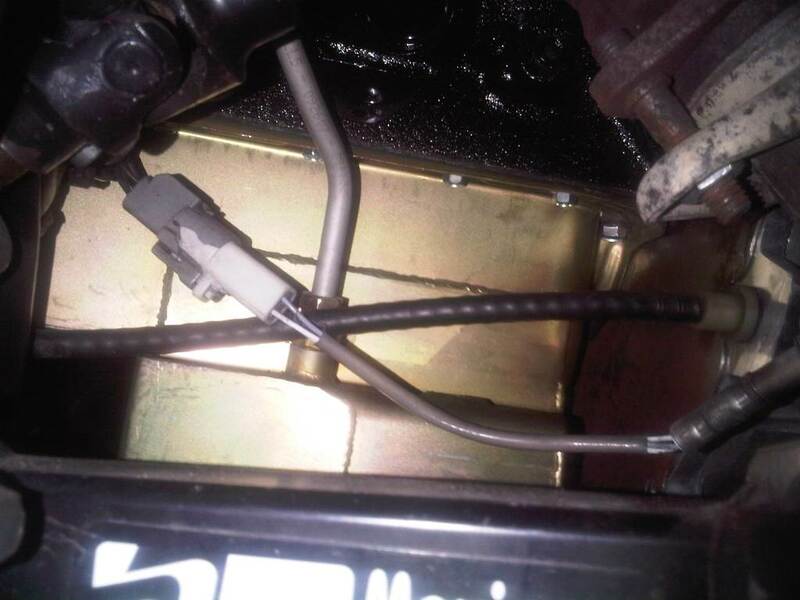 I was able to re-use my adjustable clutch cable. The repositioned clutch fork works better now as my cable has much better clearance between it and the Canton Road-Race oil pan. 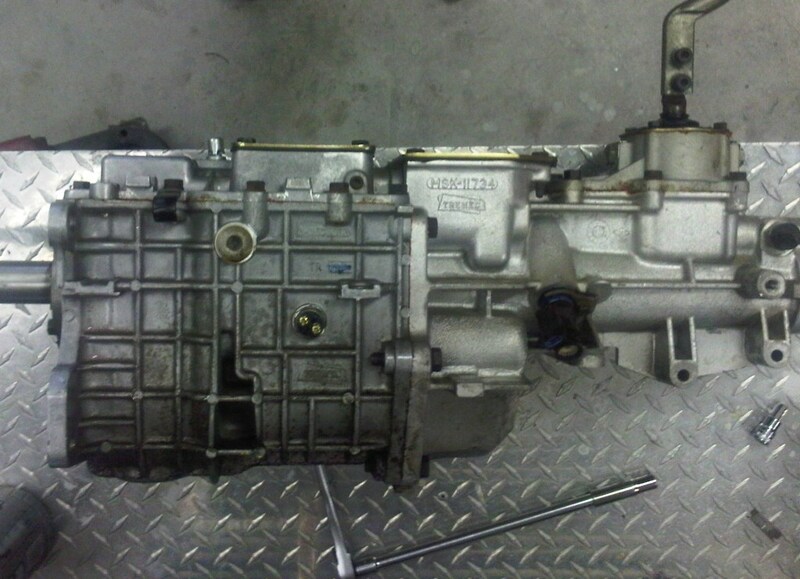 After filling the transmission with Synchromesh fluid, the factory Tremec shifter was reinstalled on the transmission. It was taken off earlier to make putting the transmission in the car easier. 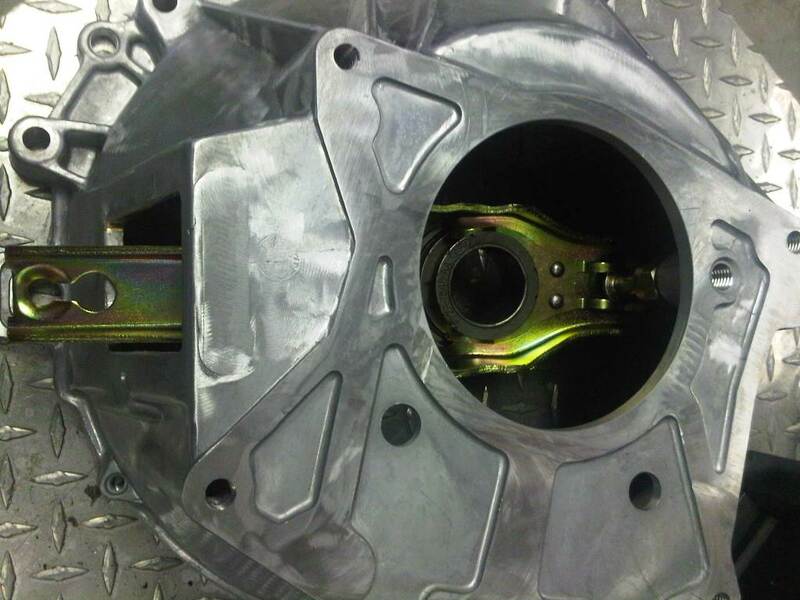 As previously stated when working on the mount, the 3550 transmission sits further forward that the T5. 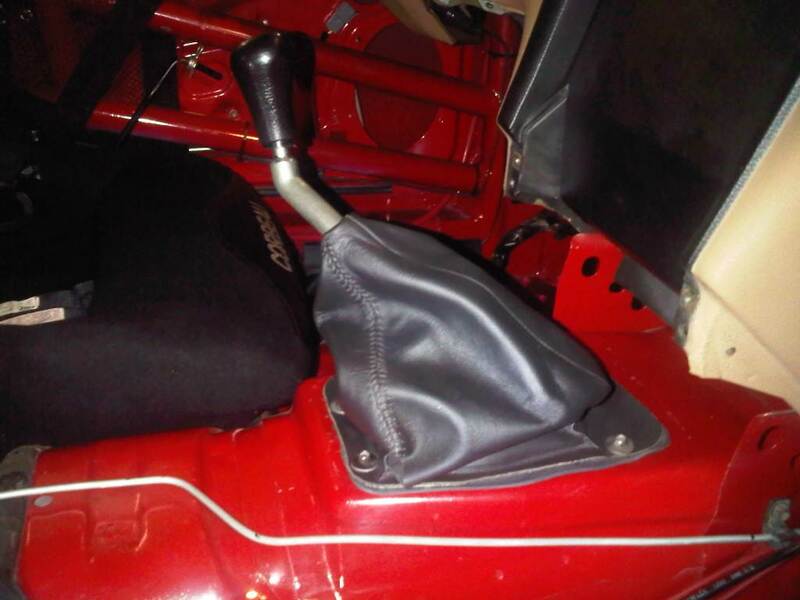 This puts the shifter further forward also. I used the same 3/8 inch material as earlier to fabricate a spacer to move my Steeda Comfort-Pro shifter handle further back. This shifter still has a lot of 'throw'. I'm sure I will replace it soon with an after market one like the Steeda Tri-Ax. Now I need to take it for a test-drive before my race at Sebring in January. Last Modified: December 27th, 2010.